Duct tape will save you. It’s been proven time and time again. 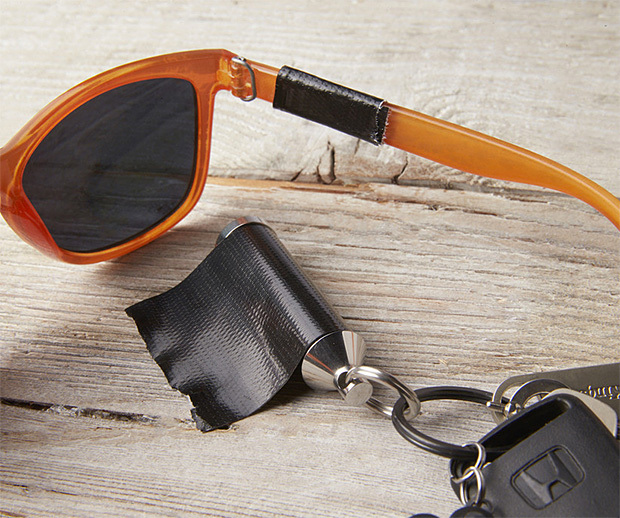 But Keychain Duct Tape is a new & elegant way to integrate duct tape into your EDC. American-made from stainless steel or solid brass, this keychain dispenser holds a crucial 18″ of Gorilla tape or 24″ of gaffer’s tape. 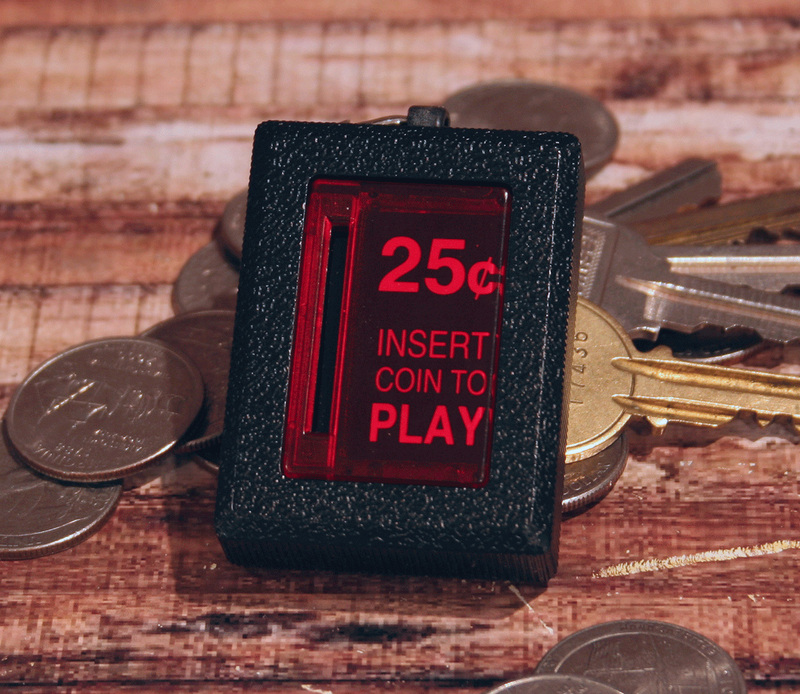 If there’s one piece of EDC on your keychain sure to truly get “every day” use, it’s gonna be this. 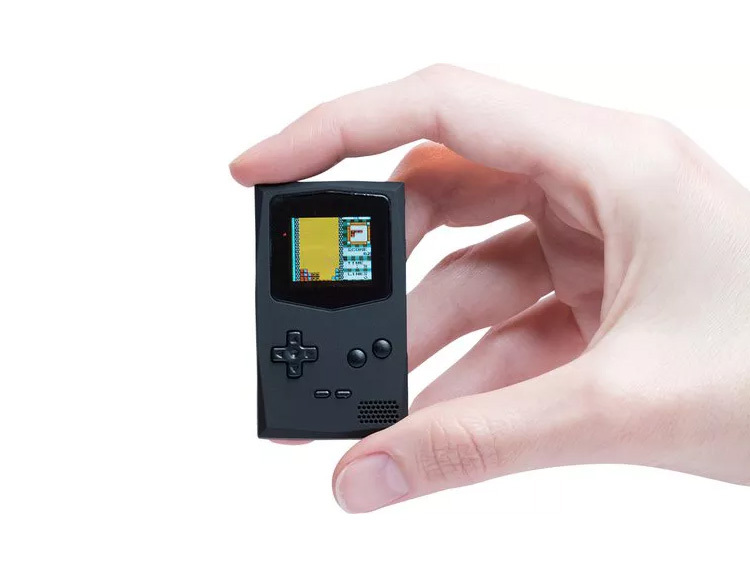 PocketSprite is a keychain-size GameBoy. It features an OLED screen, Bluetooth, Wi-Fi, a rechargeable battery, and a built-in speaker. You can play Game Boy, Game Boy Color, Sega Master System, and Game Gear games, plus the device is open source, so if you got the coding skills, you can load it up with whatever you want. Fully funded on Crowd Supply. 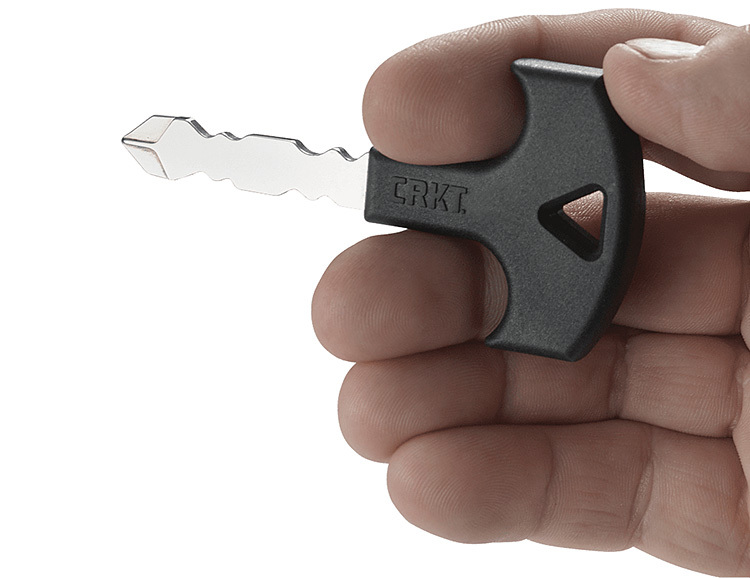 Designed for CRKT right here in our backyard of Encinitas, California, the Tactical Key is an EDC self-defense tool that will blend right in with the other keys on your keychain. But with its ergonomic, easy-grip handle and pointed tip, it makes an effective little weapon. 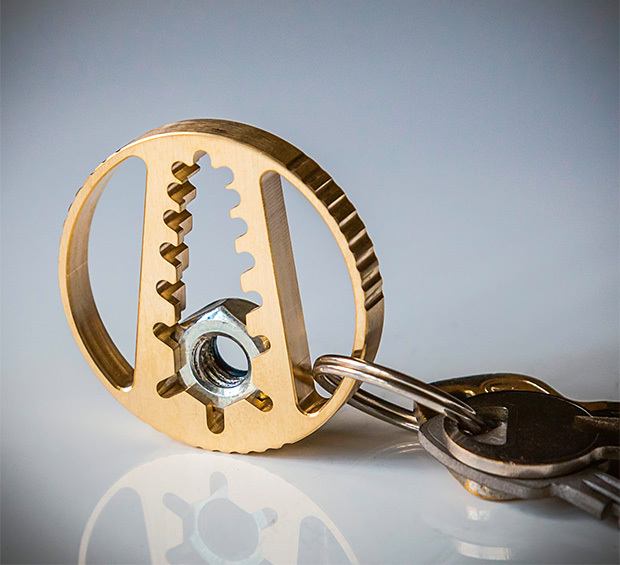 Machined from a chunk of bronze, this America-made keychain wrench will tighten & loosen nuts & bolts in SAE sizes: 9/16″, 1/2″, 7/16″, 3/8″, 5/16″ & 1/4″ plus metric 6mm, 7mm, 8mm, 9mm, 10mm & 11mm in addition to carrying your keys. If you’re the guy that always bring the heat, we found a new way for you to do it. This Keygoes:chili powder shaker will be an essential piece of EDC. 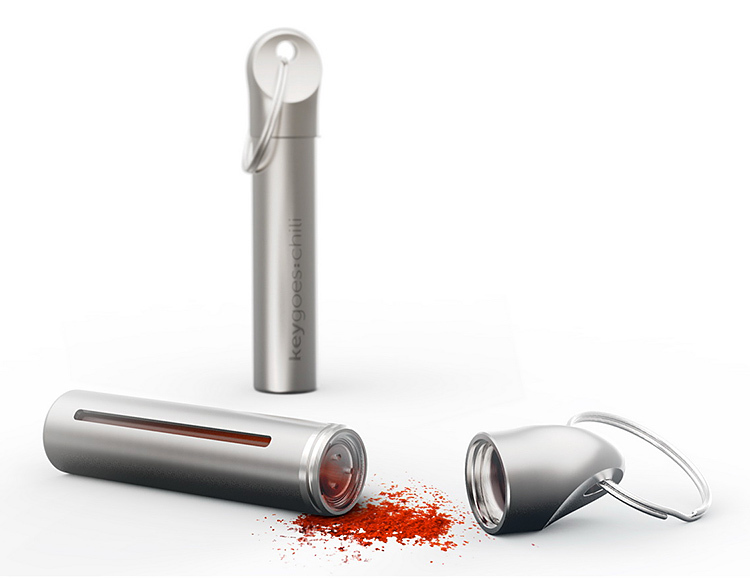 Bring hot pepper with you everywhere in a compact and spill-proof refillable stainless steel shaker the size of a chap stick. Available spices: Habanero, Bhut Jolokia and Carolina Reaper. SoCal-based 686 Outerwear knows what the weekend warriors want in their outerwear. 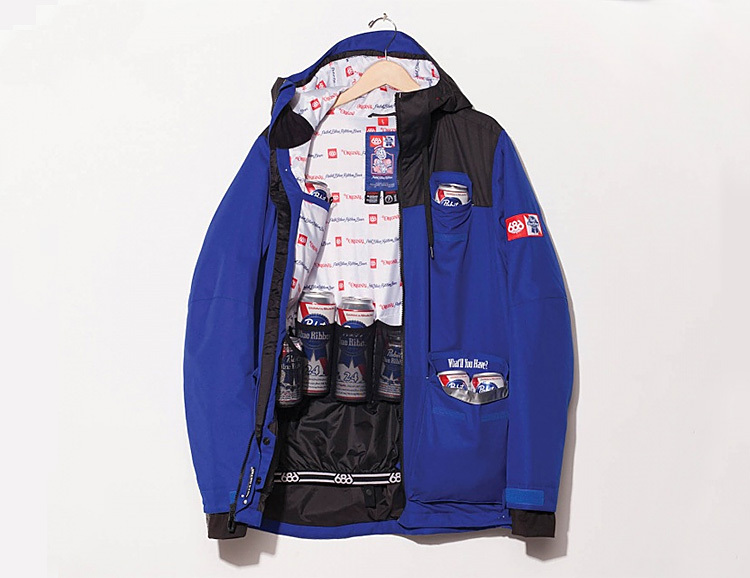 In the case of the Sixer Jacket, it’s a collaboration with Pabst Blue Ribbon to create a winter-worthy parka that keeps you warm & dry while doubling as a cooler. Literally. The interior lining of the jacket has 4 built-in tall can pockets so you can load up on sport sodas before you load the chairlift. Other features include handwarmer gussets with silicone palm grips, a bottle opener keychain, & insulated cooler front pockets. Helmet not included. 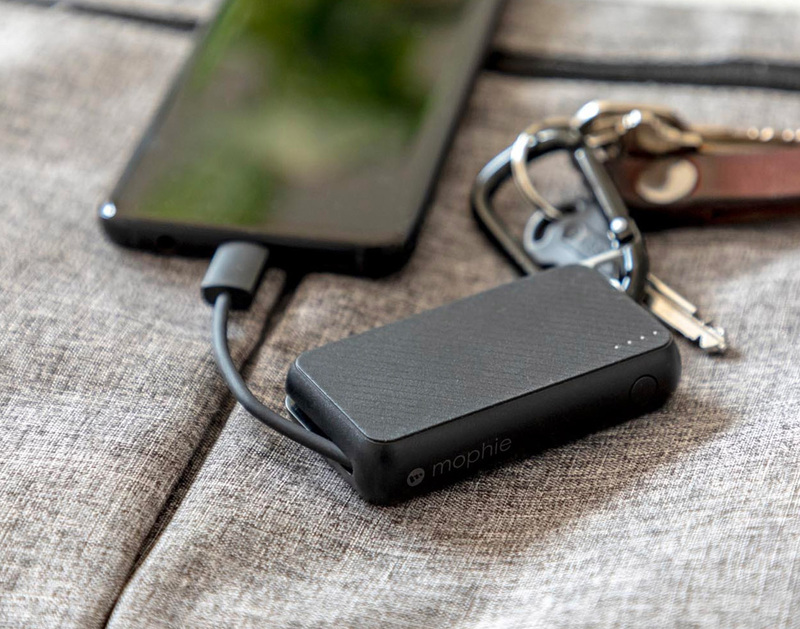 With a slim aluminum housing that contains a 480 mAh battery, the keychain-size Thino backup charger turbo-charges your phone 3X faster than most. 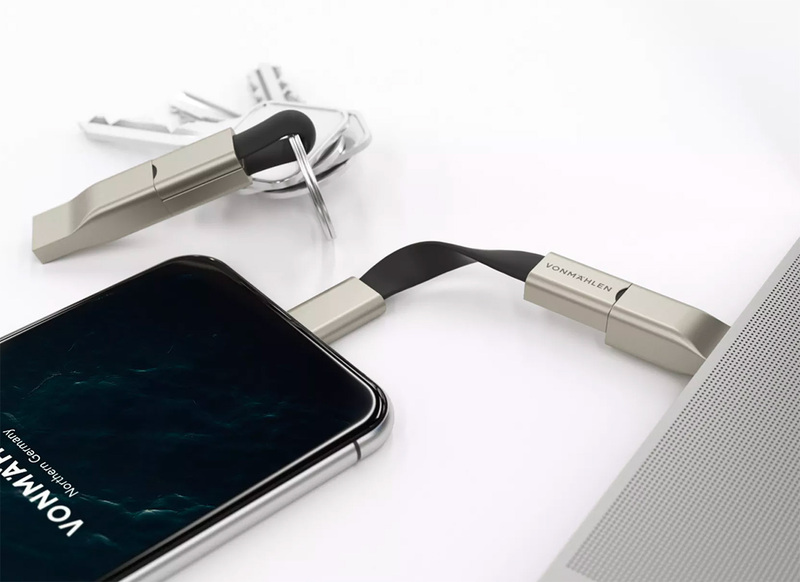 It’s available for Android & iOS devices & features a wearable locking loop, dual-sided USB & data protection. 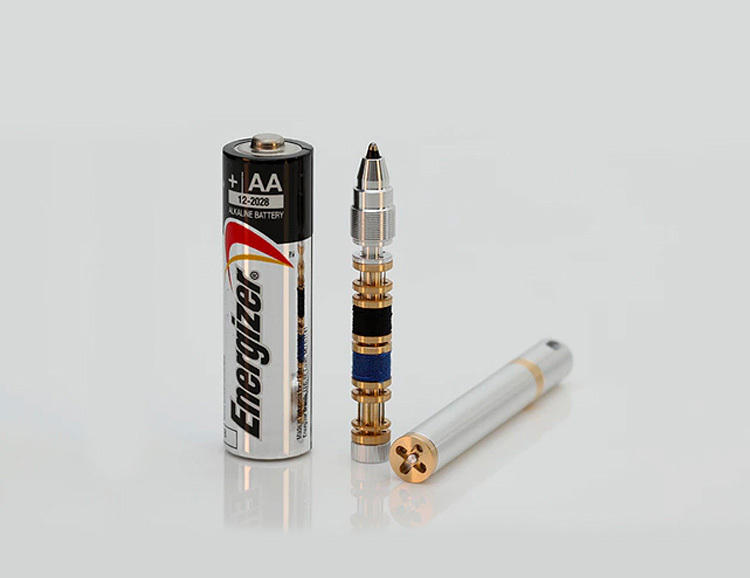 Slightly smaller than a AA battery, the Darter is a micro-pen beautifully machined from aluminum and brass that writes with Cross Matrix Ballpoint refills. There’s also a secret inside. It’s got a built-in sewing kit. It includes 2 bobbins with 100mm of thread on each, & 4 No.10 Gold Eye Sharps needles. 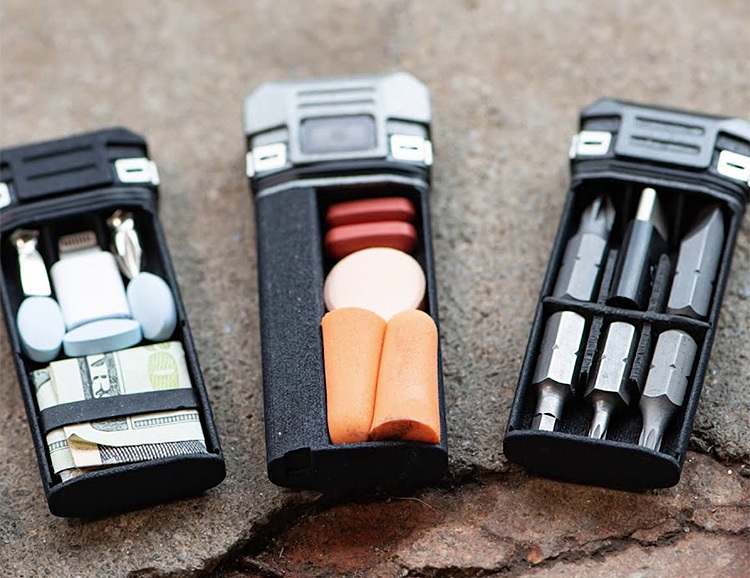 It’s the perfect size for your survival kit, dopp kit, or with its keychain-size form, your EDC. A funded Kickstarter. 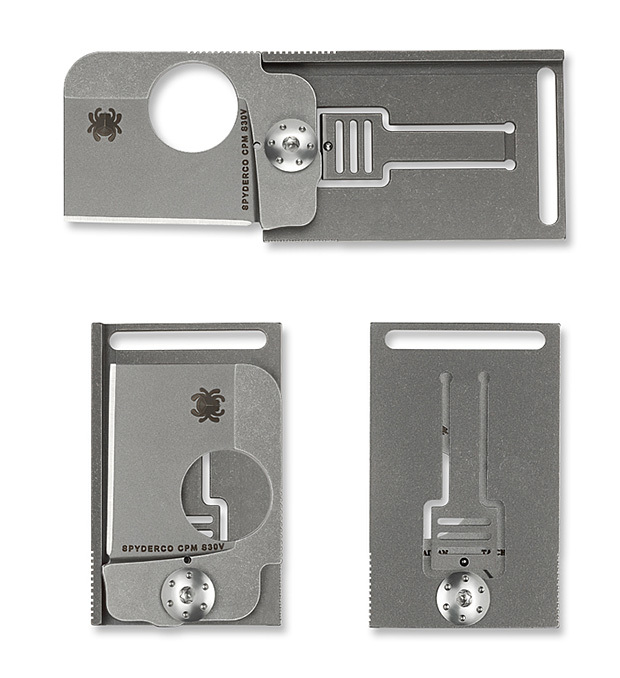 Small enough to carry on a keychain, the Squarehead from Spyderco is a unique little knife that folds out of a single-sided handle machined from a solid piece of titanium. It features a sheepfoot blade made of CPMS30V powder metallurgy stainless steel and an integrated LinerLock-style mechanism that locks the blade securely open & shut. 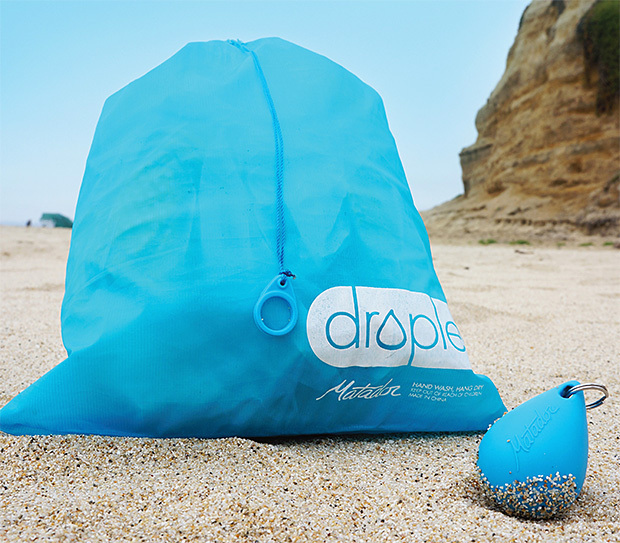 Droplet is an ultra compact bag that’s small enough to carry on your keychain. 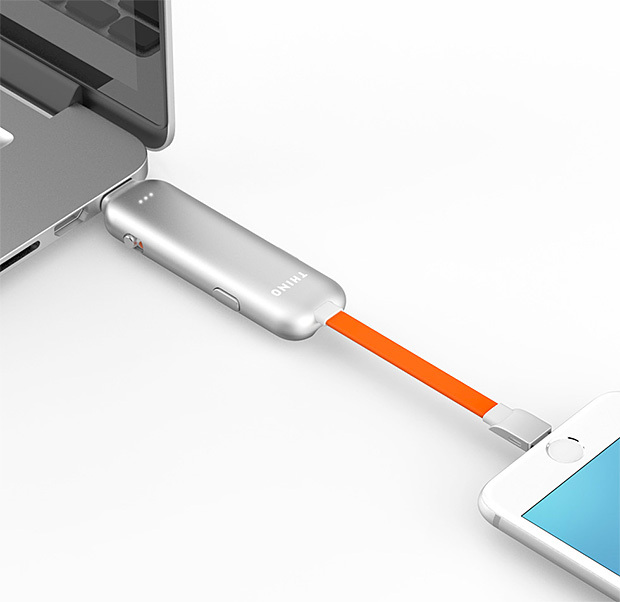 It expands to 3-liters and is fully waterproof. Carry your swimsuit, swampy gym clothes, & about a million other things you want to keep separated from the dry stuff. 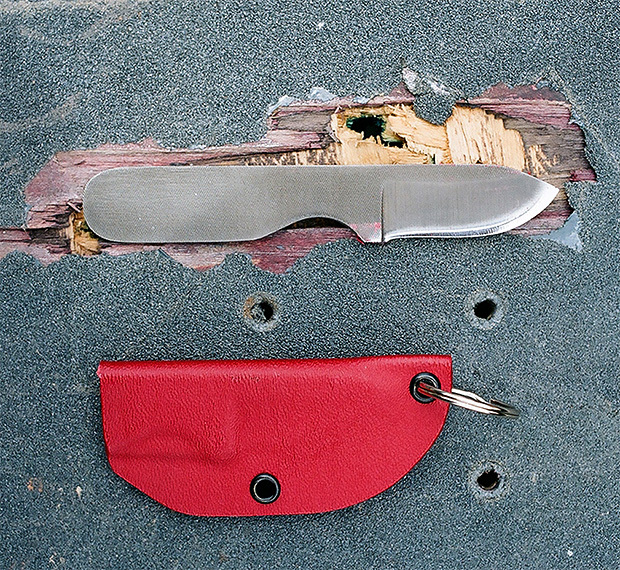 Fashioned from an upcycled mill file, the pocket-sized Gripper from Civilware is slim and durable with a 1.5” blade, an overall length of 4.25” and it comes in a Kydex sheath you can loop onto your EDC ’biner/keychain. 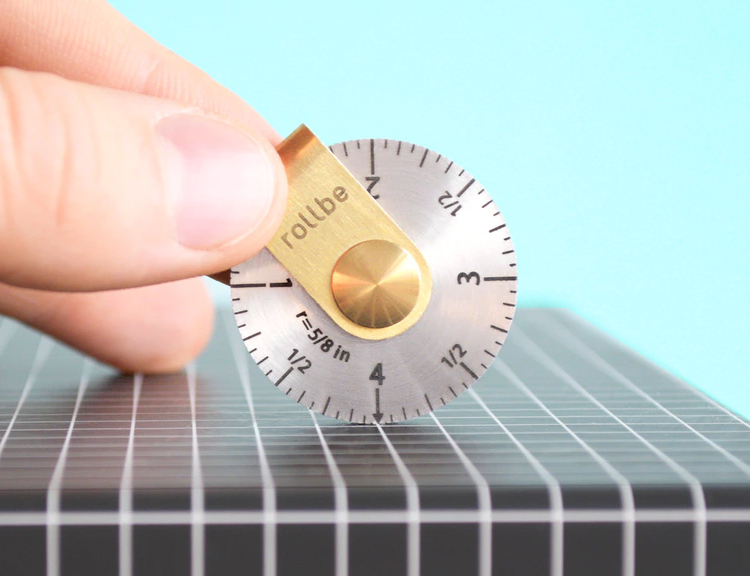 Rollbe is a compact pocket ruler that allows you to measure just about anything—straight lines or curves. Simply roll from point to point counting full rotations of the rolling wheel and add any remaining units. Made of stainless steel & available in centimeters & inches, with a keychain size 4-inch & 10cm model and larger 8-inch & 20cm model. A funded Kickstarter. 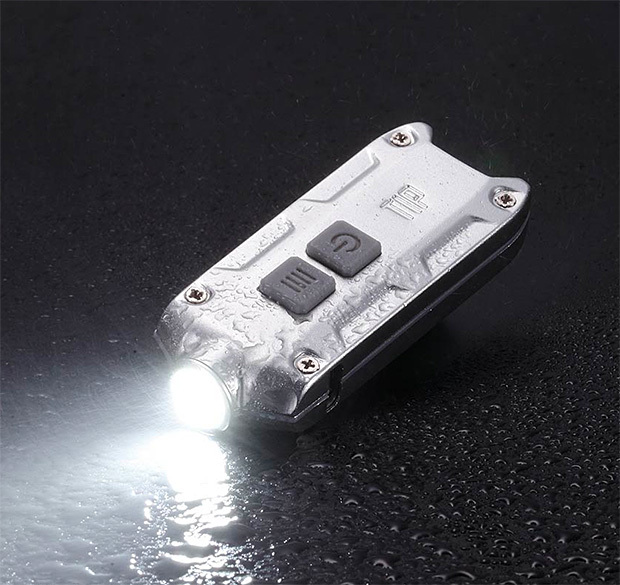 With its blade and handle made of Titanium-coated 440A stainless steel, the compact Carabiner Knife features a 1.5-inch blade and a bottle opener sub-blade. The ’biner clip at the heel of the handle keeps it handy on your keychain or conveniently clipped to your pack for easy access. 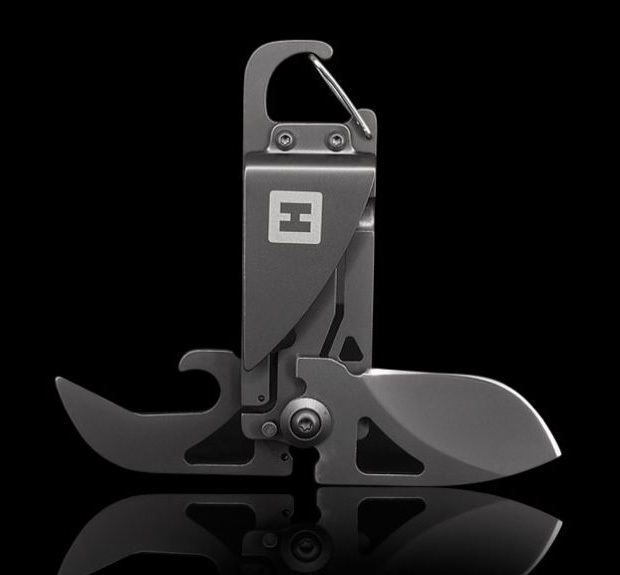 Lever Gear’s CLiP System gives you compact storage & tools in a tough, versatile EDC package. In addition to carrying small gear, the BitVault holds a range of hex nuts & works as a screwdriver. 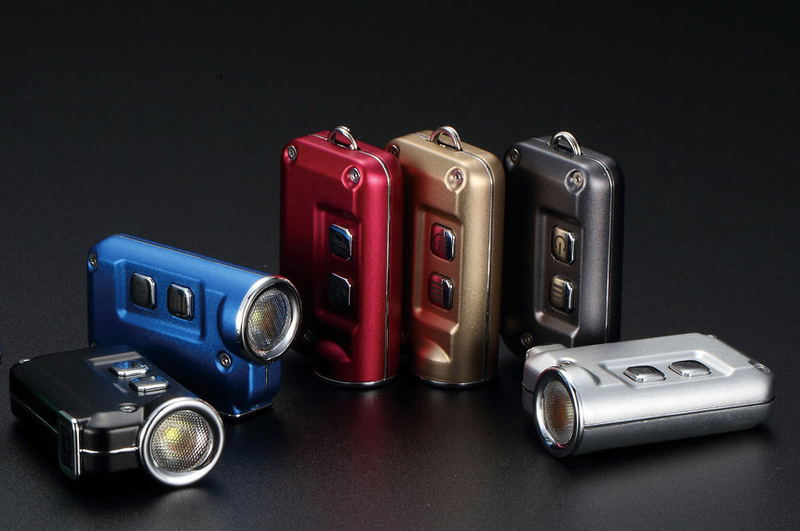 The other tool, the BitLight, adds a rechargeable LED flashlight to the device. 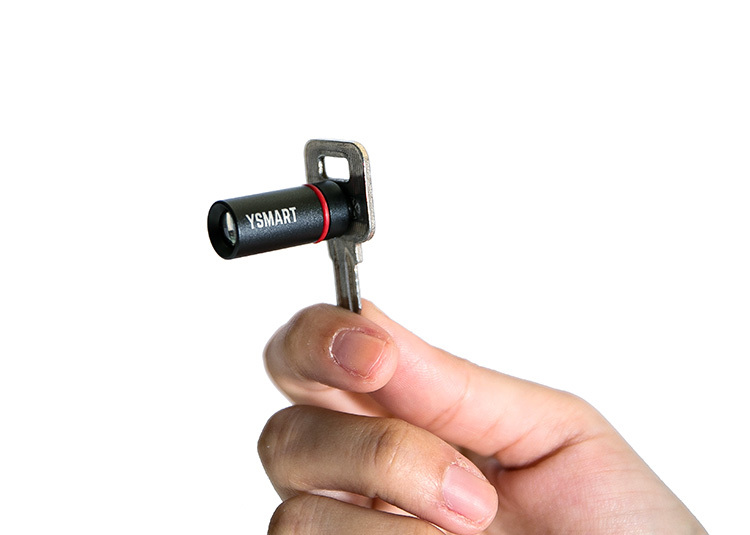 Both are made of durable metal alloy and clip on to your keychain.